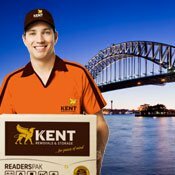 Kent Removalists in Sydney will take your move from tiring and stressful, to effortlessly easy. Whether you are moving locally, interstate or overseas, our Sydney removals team understands the stresses of moving house. With Kent moving your treasures, you have complete peace of mind that your treasures will arrive safely, securely and on-time. Consistent, superior worldwide customer service, regardless of whether you are moving locally within Sydney or Victoria, moving interstate or moving overseas. 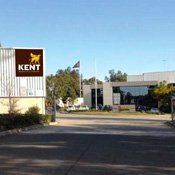 At Kent Sydney, we pride ourselves on consistently delivering premium moving and storage services at affordable rates. 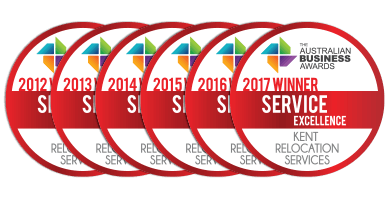 We work with you to meet your needs within your budget, and we’re confident that if you compare our high quality services to others’ you’ll find our value to be excellent. Sydney, New South Wales has a population of 4,757,083. The Sydney postcode is 2000 and surrounded by suburbs: North Sydney, Manly, Coogee and Bondi Beach. The median property house price in Sydney is $1,000,000. 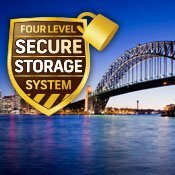 The distance from Sydney to the closest Kent Storage facility in Sydney is approximately 29.1 km. Sydney is well serviced by public transport and lifestyle amenities. There are several local schools, various shopping precincts and the area enjoys a selection of healthcare providers. I am very impressed with the quality of your service from go to finish. The guys who delivered at Airlie Beach were fantastic, Cory 1, Stuey and Cory 2. Their attention to my satisfaction was very comforting. I’d rate them higher than 10 out of 10 if I could. We had two pick ups and deliveries. The first pick up in Abbotsford went to Dulwich Hill. Everything went well and the two removalists were very good, very helpful. The second pick up from Abbotsford went to Airlie Beach. Again you had a very polite, respectful team in whom I had full confidence.nThe only disappointing thing about our uplift was that we had noted a separate pick up from Angel storage about 1/2 Km from my home but this was not communicated to the uplifters so another pick up was set for 2 days out. This was achieved efficiently by the two highly capable employees of Kent. This will be shipped to Airlie separately at an agreed future date which will require me to pay to fly up here for an otherwise unscheduled visit.nnBottom line is I will highly recommend Kent Removals. I was really happy with the communication throughout the process. Also – the removalists were very professional and looked after my furniture with the greatest of care! This is my 3rd experience now with Kent, the last being as good as the first. They appear to hold themselves to a very high standard throughout the entire process and most importantly with the actual move itself. Care is taken with every item while being very efficient. Highly recommended.